The January sales have come early! 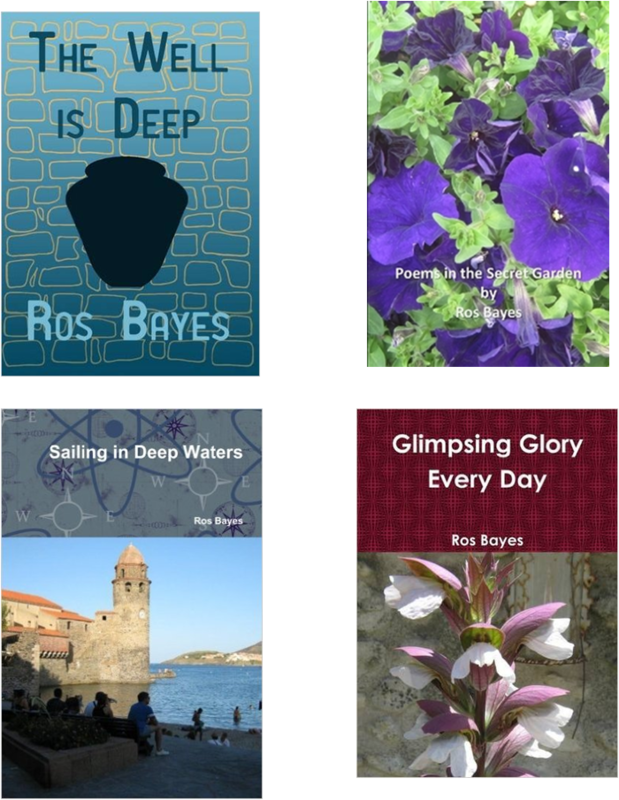 From now until the end of January you can buy a package of four of my books – The Well is Deep, Sailing in Deep Waters, Glimpsing Glory Every Day and Poems in the Secret Garden for a total of £20 + £3.95 P&P – a saving of over £11. This is UK inland postage only so message me if you want them shipped overseas and I can work out the price. Click on this link to buy the set of four books. The Well is Deep Fifteen year old Photini is making preparations for her wedding in the first century Samaritan village of Sychar. An idealistic dreamer, she has no inkling of the disaster that is about to befall her in the form of baseless accusations, public shame and a life of abuse and subservience. When the sudden death of her husband releases her from this living nightmare, it leaves her with a desperate thirst to be loved. This desperation drives her from one hopeless marriage to another until eventually she grasps at the only man left who she believes can truly love her – and he is another woman’s husband. Who can rescue her from the downward spiral? Sailing in Deep Waters A collection of blog posts written over a period of eighteen months. They chart different aspects of the author’s journey with God and ways in which she has discovered Him along the route. Good for dipping into, or daily devotional readings. Glimpsing Glory Every Day More devotional readings, with thoughts on God’s faithfulness along life’s journey, celebrating His goodness in all the circustances of life. Poems in the Secret Garden A collection of devotional poems to help you express worship to God when your own words run out. When I was teaching the topic euphemistically referred to as “end of life issues” with my RE classes in school, I sometimes used to show them the Channel 4 documentary about the fight of Diane Pretty, a woman in the advanced stages of motor neurone disease, to be allowed to have her life ended by her husband without him having to fear prosecution. The case went all the way up through the British legal system and finally to the European Court of Human Rights. 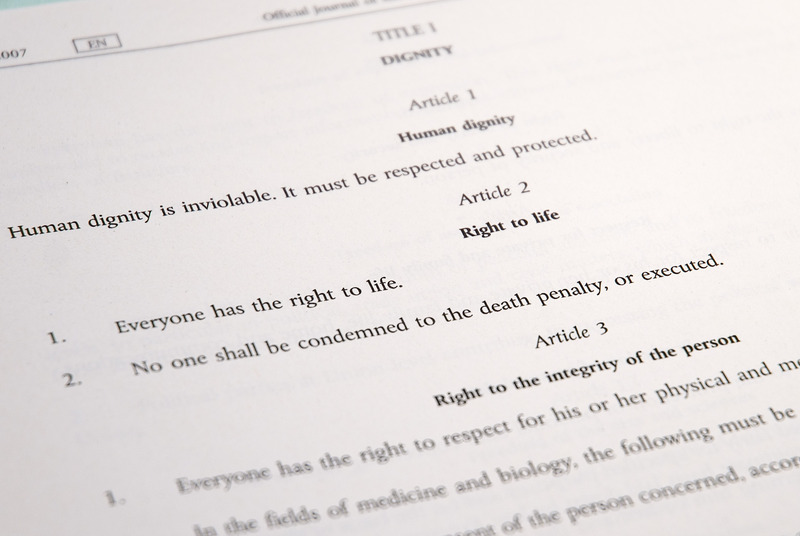 At every stage the judges upheld the status quo, refusing to legitimise euthanasia, and affirming that the right to self-determination does not extend to the right to choose when and how to end one’s life. The problem with the documentary was that it made no attempt to be unbiased, but was unashamed propaganda for Diane Pretty’s point of view. It was quite obvious that this distressed, depressed and vulnerable woman’s situation had been hijacked by a pro-euthanasia organisation which found her a handy promotional tool for its own agenda, and I tried to make that point to the students and get them to consider other points of view also. When someone so despairs that she wants her life to end, she is not suffering from disability, she is suffering from depression, and the solution is not to confirm her despair but to treat her depression. In particular, the documentary showed a scene of Mrs Pretty’s soiled incontinence pad being changed by a carer who came to the house especially for the purpose, and it cited this as evidence of a total loss of dignity. I used to point out to students that I care for a disabled person who has to have carers come in every day to help with exactly this personal care task, and whose cheerful good spirits and sense of humour enable her to retain her dignity and humanity even while such intimate help is being given. Loss of dignity is an attitude of mind, not an objective fact. Now I am watching elderly relatives of mine also reaching a point where they are unable to carry out intimate personal care tasks for themselves, and having to rely on paid carers to assist them. I think this takes far more mental adjustment for them than for someone who has been disabled all her life and has never known what it is not to be reliant on others for this kind of care. Along with this goes a need to depend on others to provide meals, and the restriction of no longer being able to go out and socialise in the way that they used to. One of them in particular was always ready, well into her eighties, to serve others by giving lifts in her car and I know that she feels it very keenly that she can not only no longer give other people lifts to meetings, but cannot get to those meetings herself. And I believe that when our older generation reach this stage of life, it is absolutely vital that we do not present this to them as a loss of their dignity. I think this is an error which even the church unwittingly falls into. Ministry has traditionally been seen as a function of the physically able and intellectually gifted. I recently came across an online forum where a young man was asking for help regarding a vocation to the Catholic priesthood. It was clear from what he wrote that his spiritual journey had been leading him to this point for some time and he was longing to seek ordination, but was worried as to how his calling would be seen by the Church, since he was blind. I was very saddened to read the responses – telling him, firstly on a practical level that he would be unable to celebrate and administer the Eucharist, and so would not be able to carry out the duties of a priest, and secondly, and more disturbingly, on a theological level that the priest represents Christ vicariously to the people, and so an imperfection such as blindness would incorrectly caricature Christ as imperfect and for this reason he could not consider a priestly vocation. (I should point out that these were the opinions of the forum respondents, not an official position from the Church). It is hard to enumerate the many levels on which this is both heresy and nonsense. Firstly, where is the priest who is devoid of imperfections and therefore represents Christ adequately? I dearly loved my philosophy tutor when I was a student, an elderly Jesuit priest who was bent nearly double and in constant pain from ankylosing spondylitis and who had a penchant for risqué jokes. Coming as I did from an ultra-conservative evangelical background, he did more than anyone else for my spiritual formation in my late teens and early twenties, opening my eyes to profound ways of relating to God in contemplation and silence and to the wideness and encompassing nature of the love and mercy of God. The idea that any minister of God has no physical, psychological or spiritual imperfections and can therefore adequately reflect the perfect nature of Christ is nonsense. Secondly, there are no duties that a blind priest could not be enabled to carry out with the right reasonable adjustments – the Bible and prayer book in Braille, a fellow-priest or altar server to show him where to stand, even a guide dog to lead him along the altar rail, why not? Thirdly, a priest who has himself overcome more difficulties in life than many of his congregation, who has learned to depend on God in the hard times, and who has faced head-on the hard questions about human suffering and the sovereignty of God and has emerged with his faith strengthened, has a wealth of spiritual riches to offer his congregation. Fourthly, who says that Christ was devoid of imperfections, or at least of vulnerabilities? During His years in the carpenters’ shop, do you think He never slipped and gashed His arm with a chisel, or hit His thumb with a hammer? We are told that He was tested in all points as we are, yet was without sin. So in all likelihood he did hit His thumb, but didn’t let rip with a volley of expletives! But more than that, vulnerability, weakness and what today’s society considers indignity was His intention and plan for His human existence. When God first put in an appearance on the earth, He was not wearing a stitch of clothing, and had no control of His bladder and bowel, dependent on His parents to keep Him clean. I once read that evangelicals, while affirming their belief in the dual (human and divine) nature of Jesus, are nonetheless guilty of a sort of unconscious Docetism that tries to gloss over the reality of His humanity, as if it were somehow irreverent to think of Him as really sharing all that human frailty entails. But in the baby of Bethlehem we are confronted by God in a dirty nappy, crying for a feed. And He ended His life in vulnerability, hanging exposed and naked before a mocking crowd, unable even to wipe away the blood and sweat that ran down His face.